As seasonal parishioners leave for distant destinations, we offer thanks for their support. 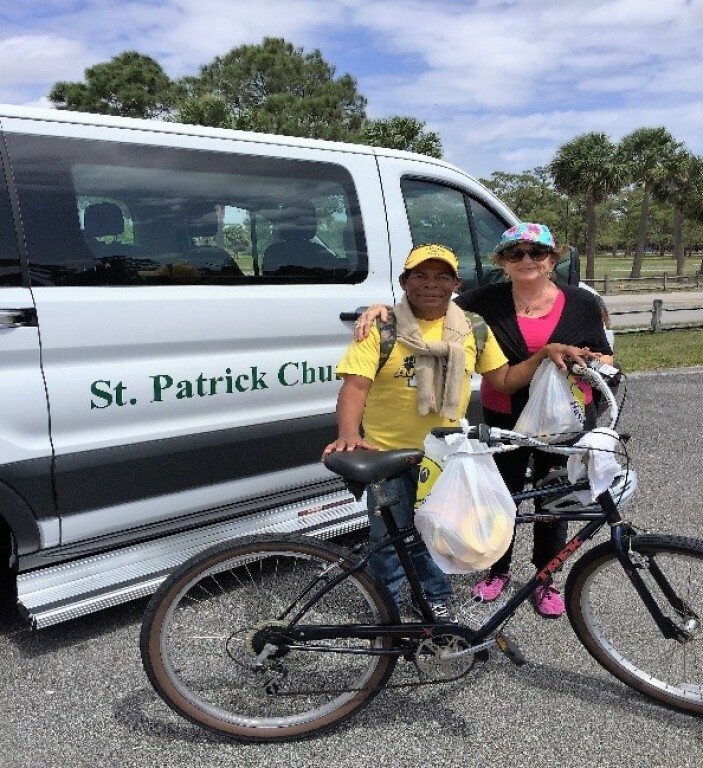 Their departure, however, results in a reduction of the number of sandwiches needed to prepare 80 bag lunches for our homeless and needy brothers and sisters. In addition to two sandwiches (meat and cheese or peanut butter and jelly), a hard-boiled egg, a sweet dessert, and napkin are provided. Homemade soup prepared by our “chef” volunteer is served. Bananas, donated by a local restaurant, complete the lunch. Before nourishment is distributed, we assemble for prayer; Our friends offer heartfelt words of appreciation. Quickly the bag lunches are eaten. Extra sandwiches and other food stuffs are disbursed for consumption later on in the day. Hunger is a constant companion Donations of snacks such as trail mix, raisins, wrapped chocolate, soup with easy open tops, non-refrigerated milk, and pudding are welcomed. The ministry is also attentive to personal hygiene by regularly offering travel size soap, shampoo, deodorant, razors. And sun screen. Among our homeless folks, are the poor and needy who gratefully accept non-perishable items. Wearing apparel and gently worn sneakers are needed. Donations of seasonal appropriate clothing can be dropped off to the parish life center during business hours. Thanks to our dedicated team of volunteers, and to those who support the ministry by preparing and delivering sandwiches every Monday. Persons interested in the ministry are welcome any Monday morning after 8:30 mass. Thank you and God Bless. Matthew 25:35 For when I was hungry you gave me to eat….Few have not had, or will have, an occasion to tend to a sick family member, loved one or friend. The experience is often challenging physically, emotionally and spiritually. The Ministry for the Homeless and Needy encourages us all to take part in reaching our brothers and sisters who find themselves outside the margins of society. We are called not only to provide basic needs of survival, but to uplift human dignity by caring for those in need. 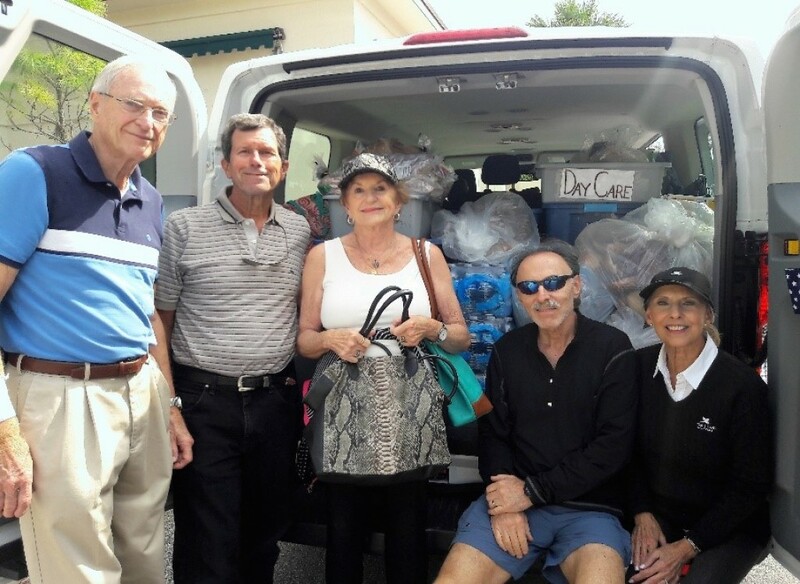 Every week volunteers assemble at the parish kitchen to prepare 150 brown bag lunches for distribution to five areas in the Palm Beach area. Lunches consist of two sandwiches (made and delivered to the parish by parishioners), one hardboiled egg, a container of homemade soup, dessert and a fruit. Toiletries, clothing of all types, sneakers and non-perishable foods are also dispensed. Delivery is made by the parish van. In addition to friendship and socialization, we offer spiritual literature, prayer and small Bibles to feed the soul. Thanksgiving meals are also delivered, as well as Christmas gifts, which include an article of warm clothing, small blankets and much-needed travel size toiletries. The ministry welcomes volunteers and financial donations as well as any of the above mentioned items. Those interested in participating are asked to call the Parish Office during regular business hours: Monday-Friday, 9AM to 4PM.